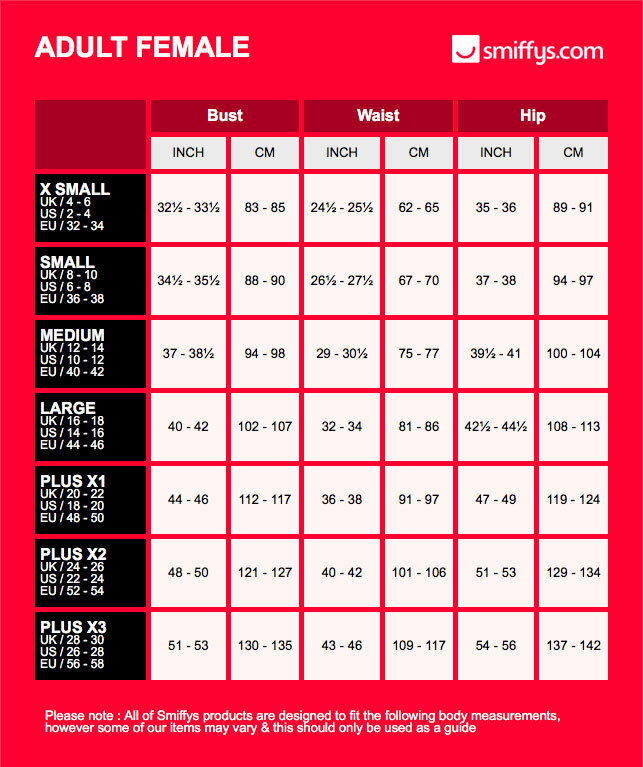 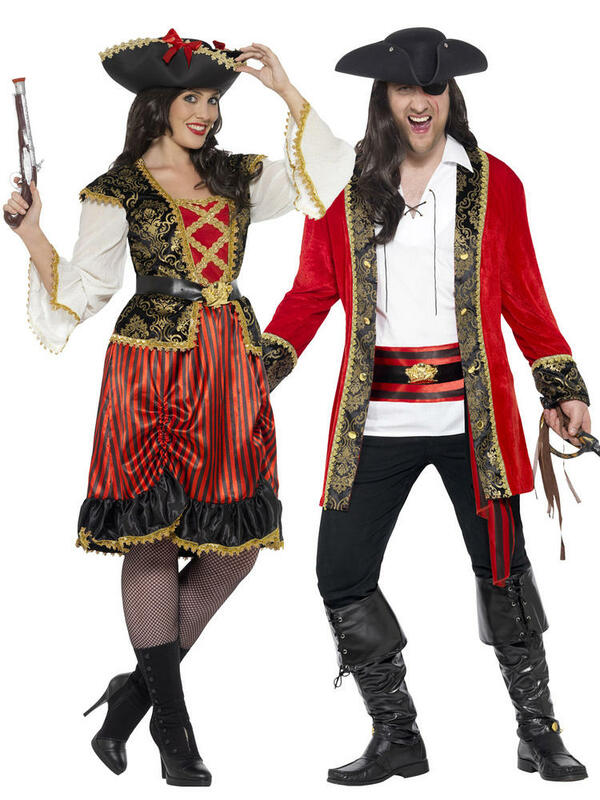 Transform yourself in a Pirate with either of these Mens or Ladies Plus Size Pirate costumes? 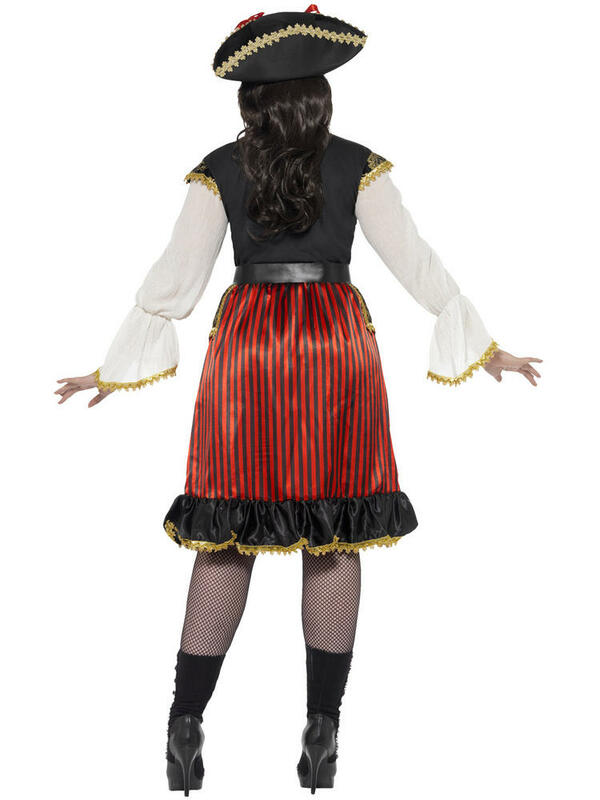 They are ideal if you are going to a Pirate themed party! 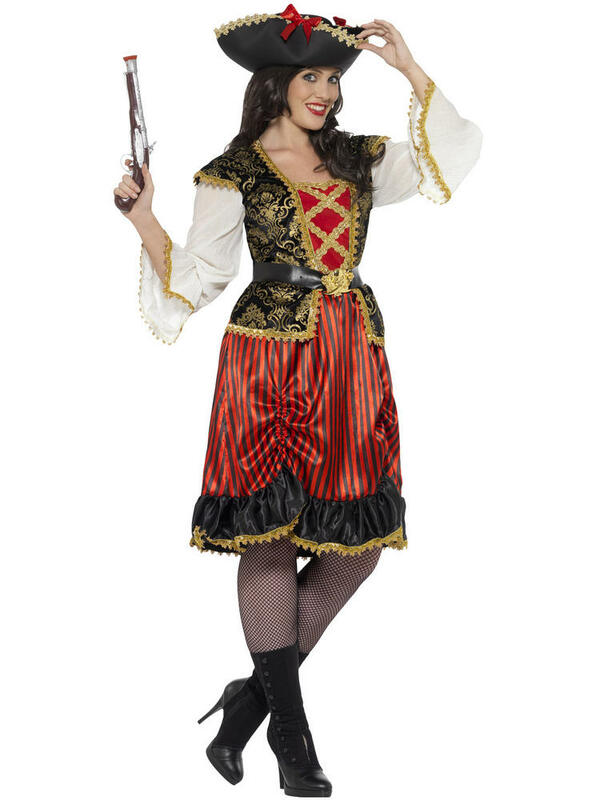 Ladies Pirate Lady includes a black and red satin style dress with a pretty gold trim and a black belt with gold buckle. 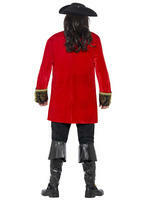 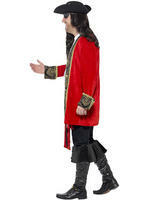 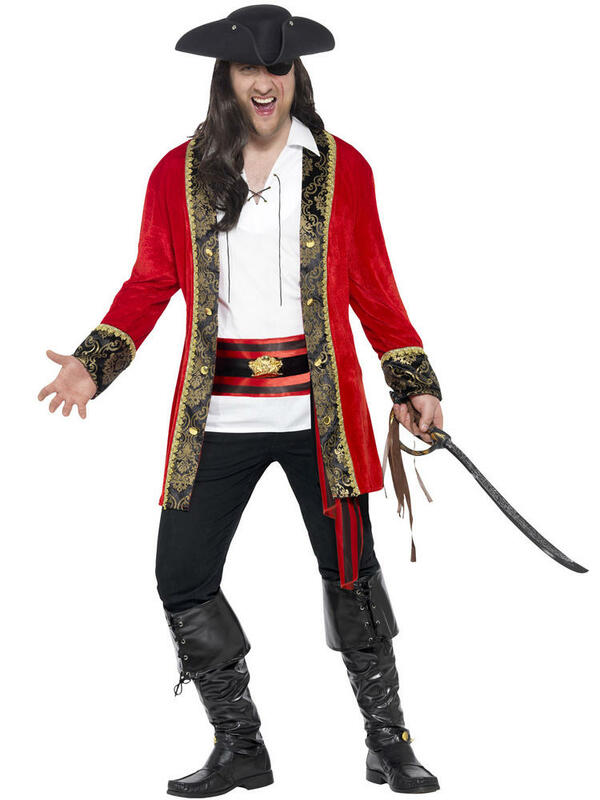 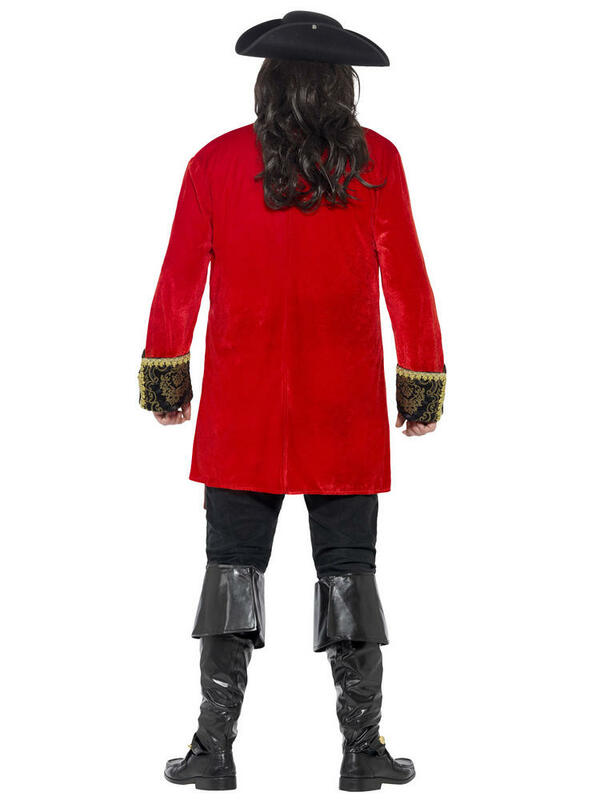 Mens Pirate Captain includes a red jacket with a black and gold trim, a white shirt with a lace up neck. 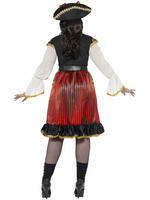 To complete the outfit is a red and black waist sash with a gold centre. 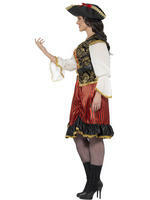 Includes Ladies: Dress & Belt. 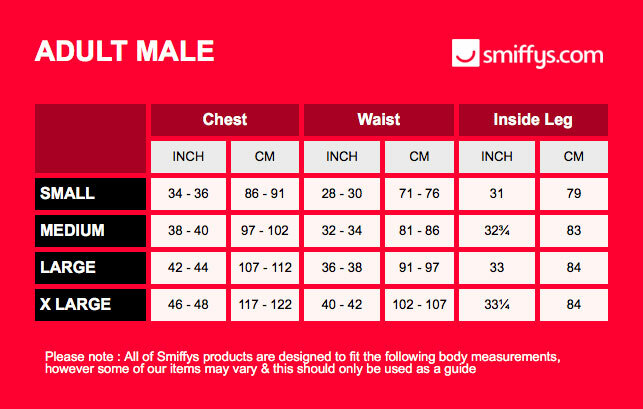 Mens: Jacket, Shirt & Waist Sash.